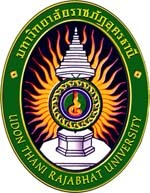 Udon Thani Rajabhat University is one of the oldest community universities in the northeast of Thailand. It was established on November 1, 1923 and offers various programs of study for all levels. Among these are associate, bachelor, master, and doctorate degrees as well as post-graduate diplomas in three major areas : education, science and arts. To provide general academic and professional education. To offer academic services to society. To improve, transfer and develop technology. To preserve art and culture. To produce teachers and promote teachers' academic status. For more information go to the university website. 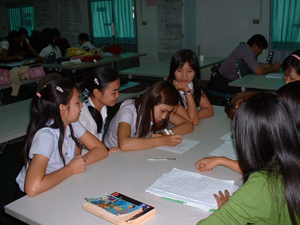 Local students demonstrate that the use of English can be fun as well as an opportunity to learn.